There are novels that attempt to find an answer and there are novels that require the reader to join the author in the pain of a question. In the case of Sugar Run –the debut novel by Mesha Maren—it demands: of course you love, but how much are you willing to feel? Can you love something bodily, fearlessly, in the face of its inevitable loss? These are painful questions for those of us born and raised under an American economy of endless war, the world’s largest prison system, and continually unacknowledged violence and history. It’s easier and sometimes safer to feel nothing at all. But no character in Sugar Run is awarded the privilege of safety, especially our heroin Jodie McCarthy. At the novel’s start it’s 2007 and Jodi has served 18 years of a life sentence. Let off on parole, she boards the bus. She has just a few days to head back to her hometown in West Virginia to check in with her parole officer but there was something she was in the middle of at the time she was incarcerated that she needs to finish. Her deceased lover’s baby brother, Ricky, needs to be rescued from his abusive home. She was 17 then, is 35 now, and the loss of life, and love, and time must be worth something. Her journey further south is ripe with the deadline of her parole appointment and the precariousness of her freedom. She feels this instability every moment: when she takes her first drink, drives without a license, or when she falls for the beautiful hot mess Miranda, around whom you can imagine “Black Velvet” crooning on loop. “I like the way you do things—Miranda had said. You show up in town with nothing but conviction and an old address.” And Miranda wants in on Jodie’s conviction. She has a controlling ex to leave, children to get back by her side, and an opioid habit to feed or quit. Jodie gets back in time for her parole meeting but not before piling Miranda and her three now technically kidnapped boys and Ricky, who is now a troubled adult, into the car with her. She drives the speed limit with this new family back to the mountains, back to the land she knows and loves, and, last she heard, owns. This could seem like a linear story but this is not a linear novel: weaving through both Jodi’s history and Miranda’s, alternating between the 80s and 2007. Mesha Maren isn’t satisfied with simple characterizations, story lines, histories or predictable conflicts, and no part of her characters’ histories are left untouched. It’s this ability to weave a story through time, to balance history with forward motion that makes Maren not just a compelling storyteller but a master of suspense without any of the gimmicks. The novel is told in exquisite prose that is suffused with an equally exquisite ache. These are the kind of sentences that warm the horizon like the halo of the Appalachians in the distance. Despite the development and and complexity of their stories, identity for Jodi and Miranda remains a privilege. Both face the complication of their relationship in the Bible belt; queerness being a term neither of them would claim for themselves. Jodi’s value is precariously staked to the land she owns, and she asks herself, as many have been forced to do, if you don’t own anything what are you? 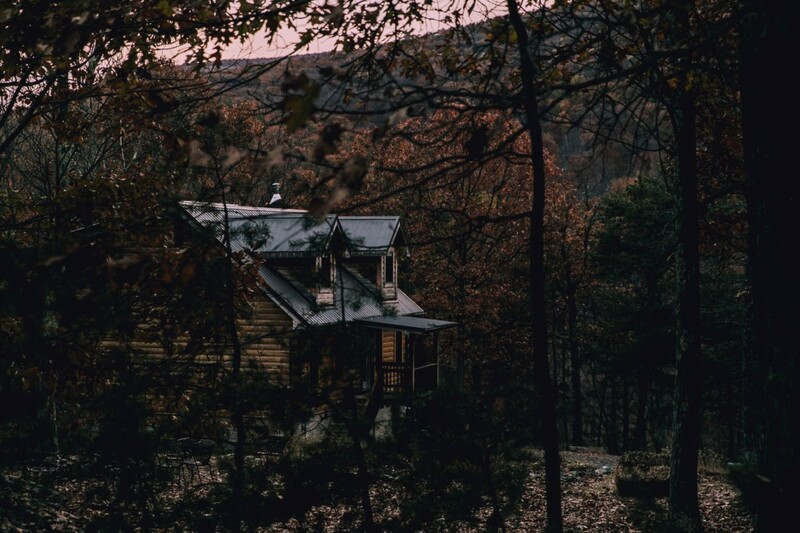 Especially in West Virginia where the national focus is on what can be taken from the land, Jodie’s desire to live a quiet life may always have been at risk in a rural Appalachia town where options are limited. Aside from her lost lover, Jodie’s grandma’s land was her greatest passion back when a run just meant a flashing mountain creek, the overly sweet smell of fungus and earth in the Lady Cake Caves. As the car pulls into her hometown we realize quickly that this novel is a troubled love letter to West Virginia, which is the particular attachment you feel to a place that is difficult and astounding at once: the green hills and low rolling fog and the reality of disenfranchisement and fracking. Jodie’s land is of course at risk—it was sold at public auction for taxes owed—taxes she couldn’t have paid while incarcerated. What some man in Florida purchased for a few grand, fracking has made worth a hell of a lot more. Maren is a writer who taps into the reader’s greatest anxieties and if my fear made me ache to read faster, Maren’s prose reminded me that I should take my time despite the threat. I urge you, the story whispers, to let yourself want what you need the most, not despite of, or because of, but of course the risk. It can be so much easier to craft a body that doesn’t move towards our greatest desires especially when loving the wrong person, or protecting a Marcellus shale filled hillside results in inevitable sorrow. Yet Jodie and Miranda still experienced bliss and new possibilities in the process. Maybe it’s worth letting our bodies take on a new shape that can hold heartache and joy in equal measure.